Taylor Community Library will be holding a Risotto Sale Fundraiser. Risotto is made by Café Rinaldi, Old Forge and will be sold as take-out only. Orders will be available for pick up between 4:00 p.m. and 6:00 p.m. on Thursday, April 18. Orders will be taken until Saturday, April 13. $10.00 per order. (Payment must be made when orders are placed.) Contact the Taylor Community Library at 570-562-1234 for more information. Colson Whitehead, the American novelist whose bestselling book, Underground Railroad, won the National Book Award in 2016 and the Pulitzer Prize for fiction in 2017, will deliver the Lackawanna County Library System’s American Masters Lecture which was postponed last November because of a snowstorm. Anyone who had tickets for the November lecture will have to reserve new tickets for the rescheduled date. Whitehead has published six novels and two works of non-fiction, but it is The Underground Railroad that catapulted him into the ranks of leading American authors. Tickets for the event will be free, as they have been since the series began, and are available online and at Lackawanna County libraries. 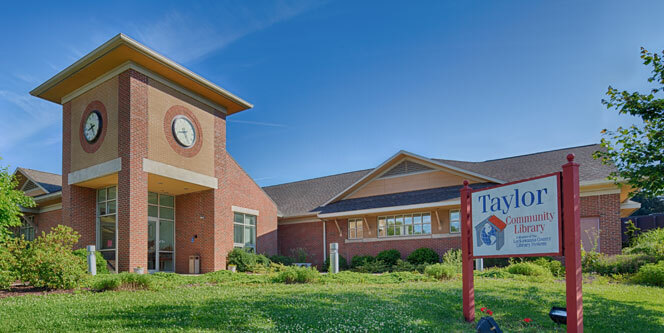 Taylor Community Library will be closed on Friday, April 19, 2019; Saturday, April 20, 2019 and Sunday, April 21, 2019 in observance of the Easter Holiday. Children ages 5 to 12 are invited to join us for crafts, game and other fun activities. Program is held on Tuesday night from 6:30 p.m. – 7:30 p.m. Registration is required.